We are not currently accepting new applications. 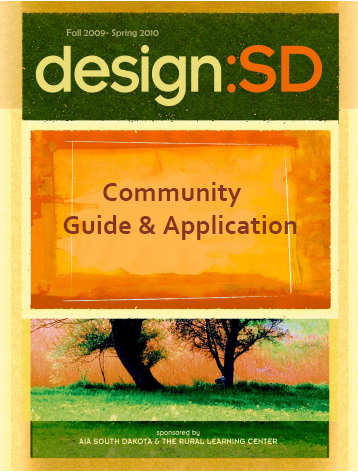 The Community Guide and Application contains all the basic information needed for a community to decide if they want to participate in a d:SD design charrette in their community, what is to be expected from both the community and the d:SD team, and a typical d:SD visit schedule. The Application contains questions about community contacts, questions about your community, resources and maps, and letters of support. Also included at the end of the application is a checklist so your community can follow their progress in completing the application.